NEW YORK—Claiming the video game company’s unauthorized, decades-long use of their brand and intellectual property has resulted in financial losses running into the hundreds of millions, the National Football League sued Electronic Arts Tuesday to stop the production, sale, and distribution of its unlicensed “Madden NFL” series. 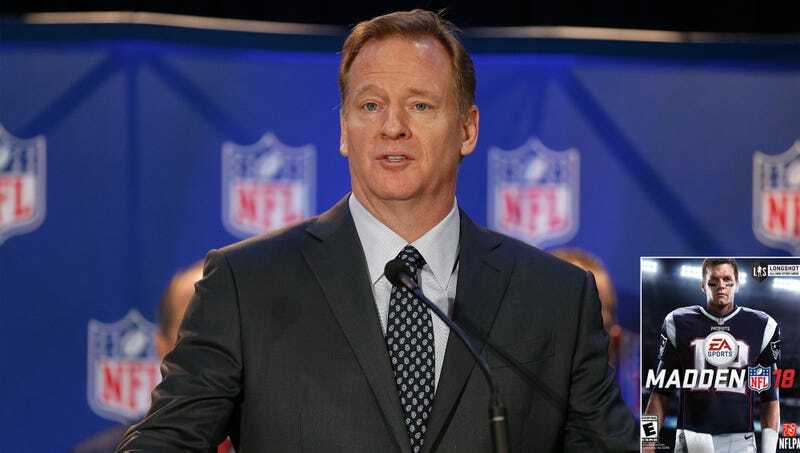 “Despite our numerous written pleas to cease and desist in their wholesale use of the NFL’s trademarked personalities, iconography, and statistical database, EA Sports has continued to brazenly profit from the NFL brand and leaves us no choice but to take legal action,” said league general counsel Jeff Pash, detailing the company’s unauthorized use of the NFL logo dating back to 1994. “We don’t intend to be predatory with this lawsuit—If Electronic Arts had merely shown a real player here or there we’d probably look the other way. However, considerable effort has been expended on their part to accurately reproduce every team in its entirety, as well as update all the rosters, jerseys, logos, and stadiums each year to reflect any changes. This is not simply a football game—It’s a pure example of large-scale theft.” The NFL has been joined in its lawsuit by former coach and broadcaster John Madden, who discovered last month that EA had been using both his name and colorfully random commentary in their football video games for years without his knowledge.